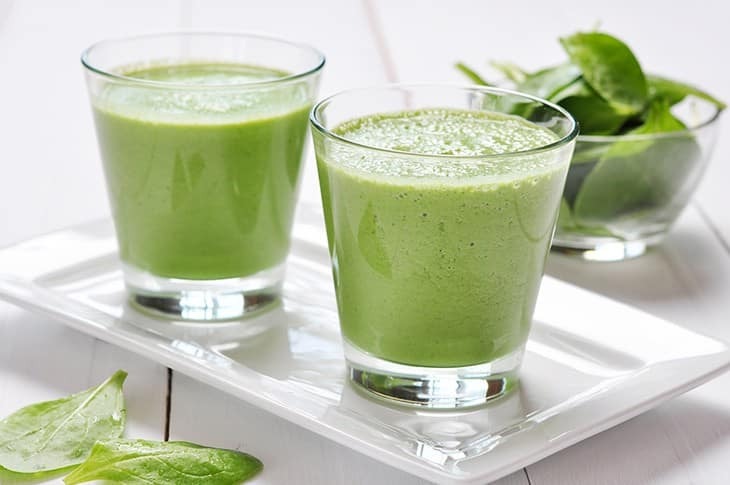 Nowadays, a lot of people have been going crazy about green smoothies. Green smoothies are packed with important nutrients, and is recognized to greatly improve our health and fitness. It can also help in losing weight! 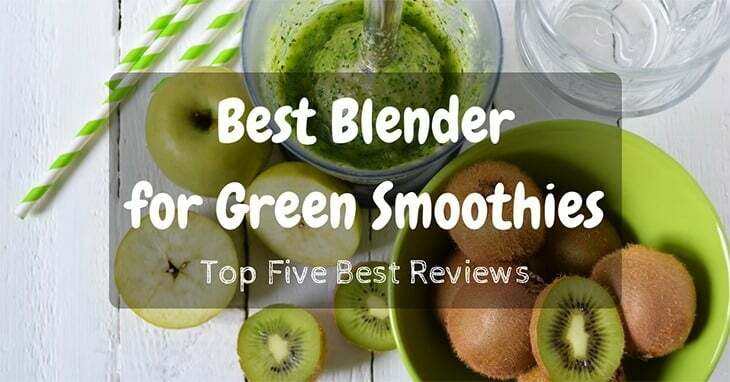 This is why many people have been recently on the hunt for the best blender for green smoothies. With a wide selection of blenders available on the market, choosing the best blender for green smoothies may become too overwhelming. We have thoroughly researched on the important features that must be considered first before purchasing a blender. The power or the speed of the motor of blenders indicate its capacity to crush and blend ingredients. 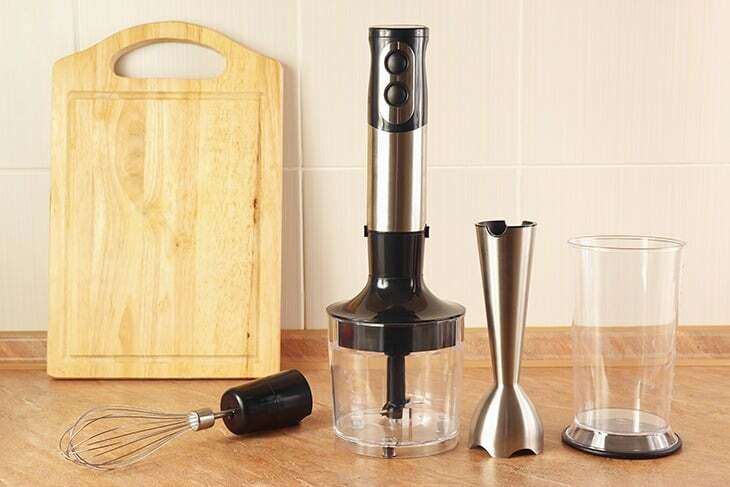 A blender with a fast motor or a high power is able to blend whole or frozen ingredients. 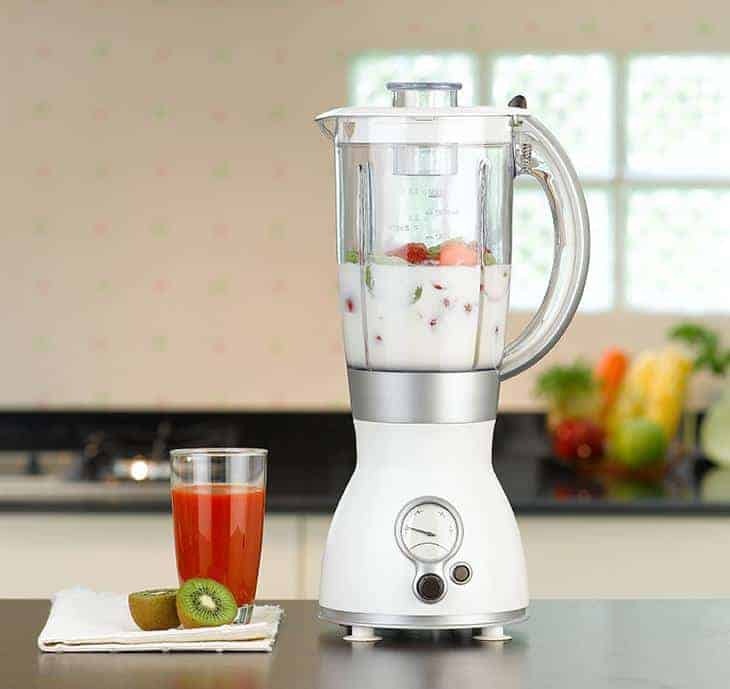 Meaning, there is neither a need to thaw frozen fruits and vegetables before blending nor a necessity to pre-cut them, before putting them in a blender with a high power. A blender that has a high power can also crush ice, which makes it ideal for making smoothies. A power of at least 1,000 W is recommended. The speed setting enables you to take control of the process of making a green smoothie. Some blenders have just one fixed speed, while others have dual speed setting of high and low. Other blenders also include a pulse setting, which most people use to initially chop the whole ingredients. A blender that has at least 2 speed settings is preferred, because it enables you to get the texture that you want. It is very important to take into account how many people will be usually using the blender for green smoothies. If only one person uses it for single serving, it is recommended to purchase a single-serve blender of around 24 ounces. 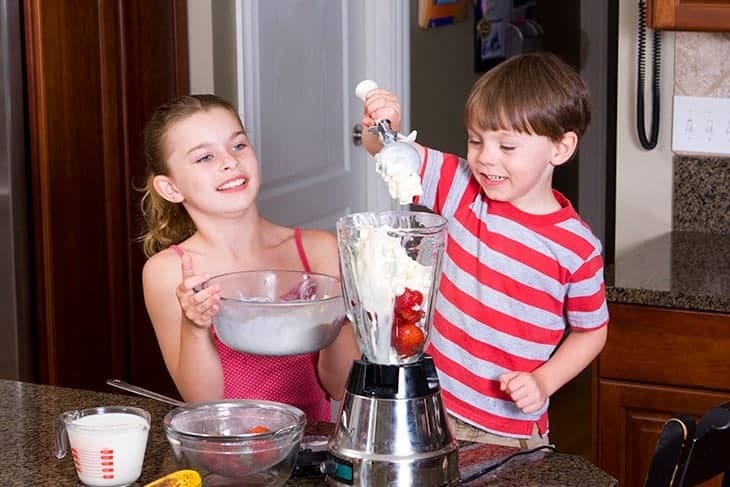 For families or groups, it is best to use blenders with bigger sizes, such as around 40 ounces. Plastic is a preferred material over glass. It does not easily break, and is lighter, too. 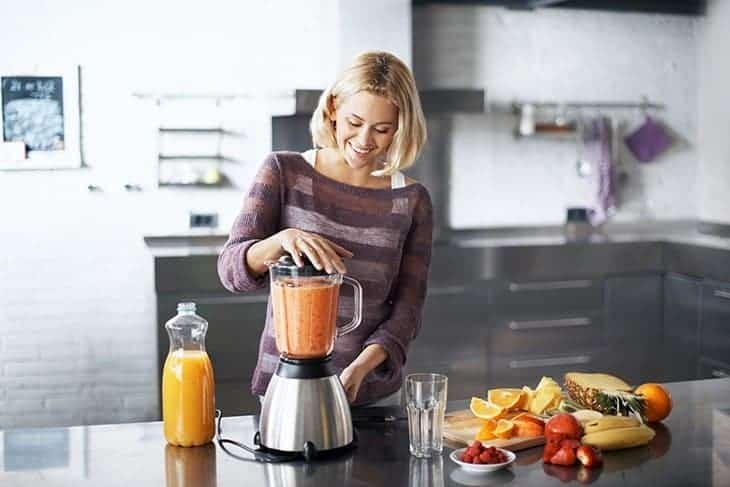 If you are the type of person who do not want to spend so much time on cleaning a blender, it is best to avoid blenders that have to be disassembled first to wash. A good blender can be cleaned with just a mixture of hot water and dishwashing soap, blended and then rinsed. It is also interesting to look at other features that blenders have. Some features an auto-timed blending technology, so you do not have to worry about manually changing the speed settings. There are also blenders that include spout lids which will allow you to drink your smoothie while on the go. Firmly fasten the lid. Blending without a lid may give you better access to see and taste what you are making, but it may lead to unfortunate accidents. Not closing the lid may result to splattering of what you are blending. Add liquid. If you don't add liquid, it may do harm to your blender. Motors of some blenders may not handle so much fiber from your fruits and vegetables. 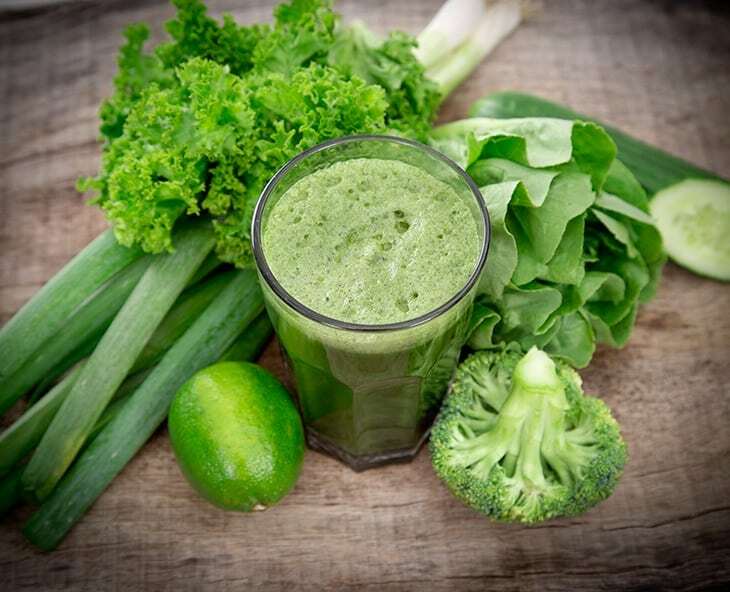 To keep your blender optimally working, add fruits and liquid first, then green vegetables. Cool ingredients first. If you have just finished boiling your vegetables, allow them to cool down first before putting them in the blender. Blending hot ingredients creates steam inside the blender. It can burn your skin as you open the lid, and wears down the blades as well. Don't blend thick smoothies for more than 2 minutes. Blending for long periods of time may cause your blender to overheat. 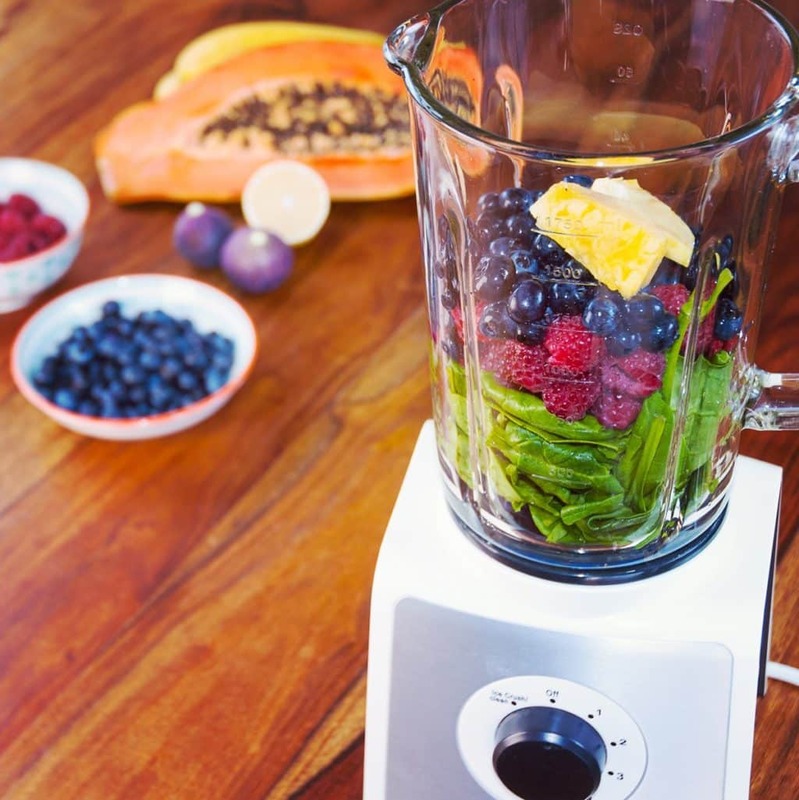 Some blenders have a pulse setting that you can use for up to 10 seconds, to help blend the ingredients faster. Don't use your blender for storage. Not all blenders have the feature to double as a storage container. Most blenders, when used as a storage, retain the smell of what you are blending. This may leave an unpleasant smell. Don't use any accessories that are not recommended or do not come with your blender. Components from another company, or even from just another model, can cause damage to your blender. After enjoying a refreshing and healthy green smoothie, some may find it a hassle to clean the blender. It can be time-consuming and may require a lot of energy. Fill half of the blender with hot water. Add one or two drops of dishwashing liquid. Turn on the blender for around 10-15 seconds. After that, pour out the mixture and thoroughly rinse the blender with more hot water. Fill half of the blender with a mixture of water and a few drops of dishwashing liquid. Add coarsely chopped half a lemon. Blend for about a minute. 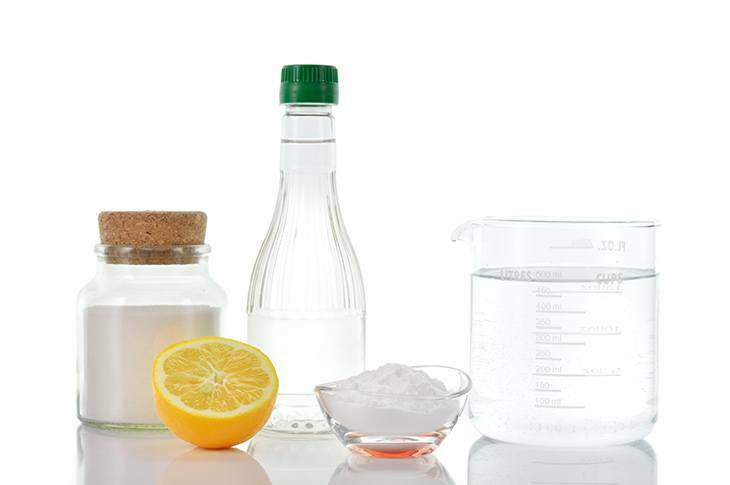 White vinegar can be used as an alternative to leamon. It may not be as good-smelling, but it is equally effective. 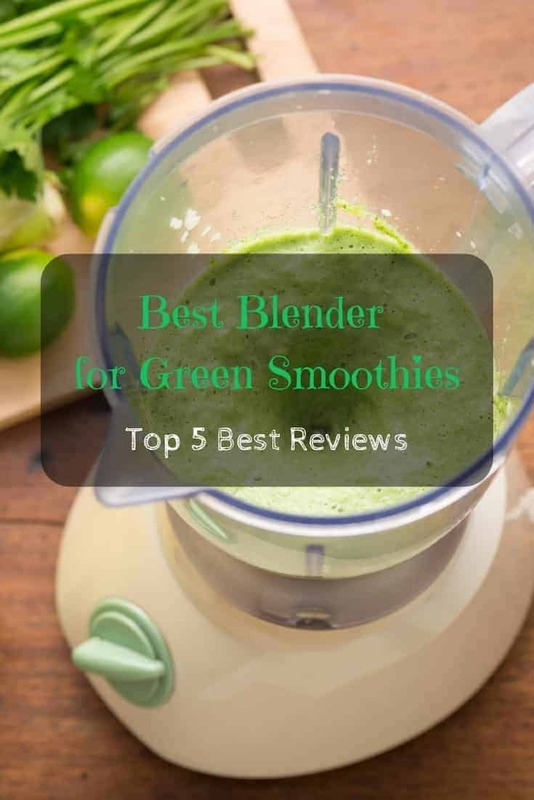 Best #blenders for green #smoothies – top 5 best reviews. A good blender really makes a difference. Ideal for those independent and busy people who are always on the go! This 380 ml blender is small and portable, which is great for travelling. It can make a single serve of juices, shakes, and smoothies. With a capacity of 1,500 rotations per minute (RPM) it can efficiently blend different combinations of fruits and vegetables. This Portable Blender is rechargeable. It can be charged through a plug, or by a power bank, a computer, or any other USB devices. Its charging time is about 3 hours, and then you can use it for around 10 to 12 times. This Nutri Ninja NN102 lets you choose between Nutrient Extraction and Nutrient Fusion features. The Nutrient Extraction feature fully breaks down each ingredient, and brings out the best out of your fruits and vegetables. On the other hand, the nutrient fusion thoroughly combines all the ingredients and their flavors together. The Nutrient Extraction is ideal for making a healthy green smoothie. It also features an Auto-iQ technology that combines patterns of pulsing, blending, and pausing. This is particularly great in preparing a smoothie that has consistency and great texture. A set of this Nutri Ninja NN102 includes a bowl, and two 24 oz cups. It also comes with spout lids that allow drinking of smoothies while on the go. These bowl, cups, lids, and the blades are BPA-free and top rack dishwasher safe only. The Ninja Professional Blender BL610 has 1000 watts of outstanding performance. Its Total Crushing technology are ideal for blending and pureeing whole fruits and vegetables. Blades are sharp, that it can crush ice. The blender jar can accommodate to at most around 2 liters. This means you can make green smoothies for the entire clan! The Ninja Professional Blender also features a sleek design, and includes a safety feature that keeps the blender from working until the lid is secured. It is BPA-free and most of its parts are safe to use in the dishwasher. This Nutri Ninja Blender incorporates an Auto-iQ technology. This advanced technology features timed blending, pulsing, and pausing patterns. Because of this Auto-iQ technology, there is no need to manually stir and mix to make sure that all ingredients are well-blended. It also features a Pro Extractor Blades that can crush and break down, ice, fruits, and vegetables. This gives a better extraction of their nutrients and vitamins. One set of this Nutri Ninja BL482 includes one 32 oz and two 24 oz BPA-free blender jars. Meaning, you can choose whether to use the regular 24 oz for a single serving, or the jumbo 32 oz for multiple serving. It also comes with a sip and seal lid, which is great for easily drinking the smoothie while you are on the go. The parts of this blender are BPA-free and dishwasher-safe. This high-speed blender of EverKing features an interchangeable blending cup and grinding cup. Its control panel gives you the choice of whether to set it to pulse, low, or high. 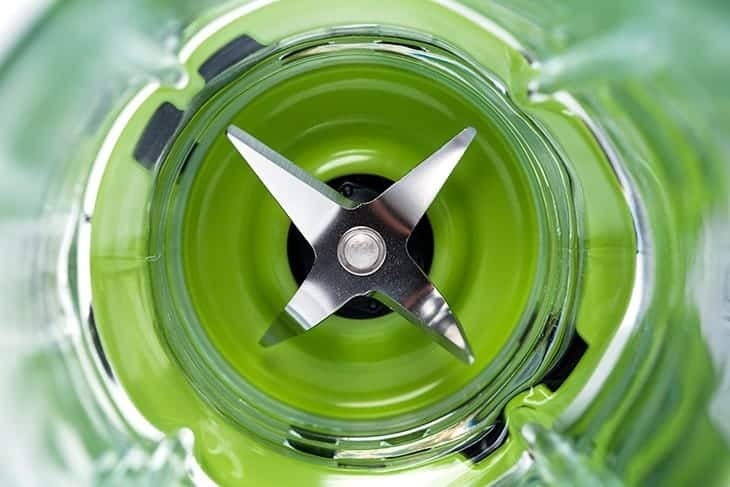 The EverKing High-Speed Power Blender is multi-functional. It can be used as a food extractor and processor, a juicer, and a smoothies maker. It claims that it could make a nutritious drink by extracting vitamins and nutrients from blended fruits and veggies.It is easy to assemble and disassemble. Clean-up is also fairly easy. It is recommended to wash it manually, but the blender cups and the blades can be safely used in the dishwasher. To achieve a delicious green smoothie with the right consistency and texture, it is important to use the best blender. After our extensive research, we are convinced that the Ninja Nutri Bowl DUO with Auto-iQ Boost (NN102) takes home the price for the best blender for green smoothies. It is a sophisticated and advanced blender that features an auto-iQ technology. This means you may no longer have to manually stir and mix, as the Ninja Nutri NN102 could take care of giving you a well-blended smoothie. It is also great because it comes with jars of different sizes. You can choose between a single serving for yourself, or a multiple serving to share with some friends. It also comes with spout lids; you can drink your smoothie on the go! Make sure, however, that the jar is tightly secured on the base, to avoid any leakage problems. We hope you found this post helpful! We would be more than glad if you drop by the comments section below and share this post.